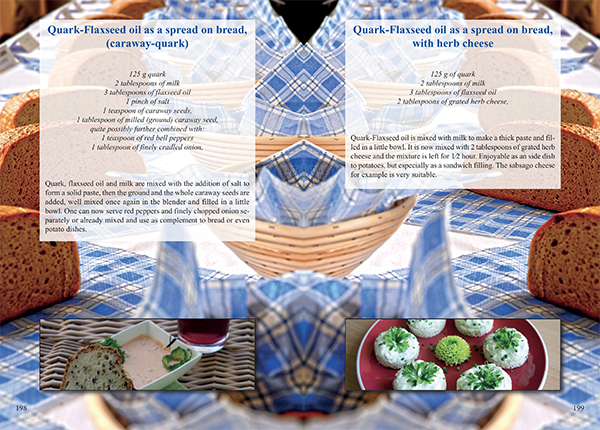 “I wish that all my students had the education of a biochemist and quantum physicist so that they could understand the perfect composition of this Oil-Protein Diet. It is a miracle. The idea that with a diet one can get people out off of their death beds! This Oil-Protein Diet provides ways for electron-rich oil to get into the body. 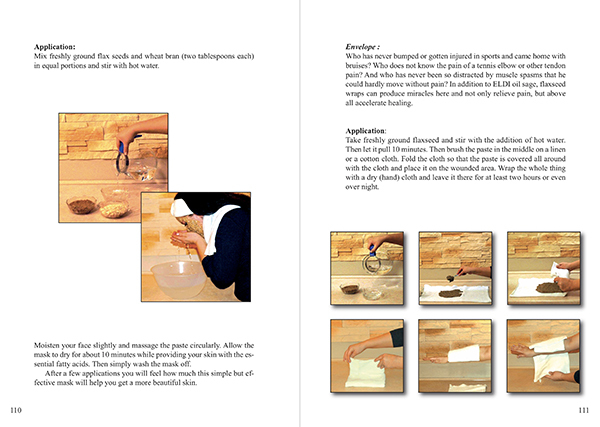 This is achieved through food and external application of oils." After the death of Dr. Budwig in 2003, a dynamic developed, which was very negative. 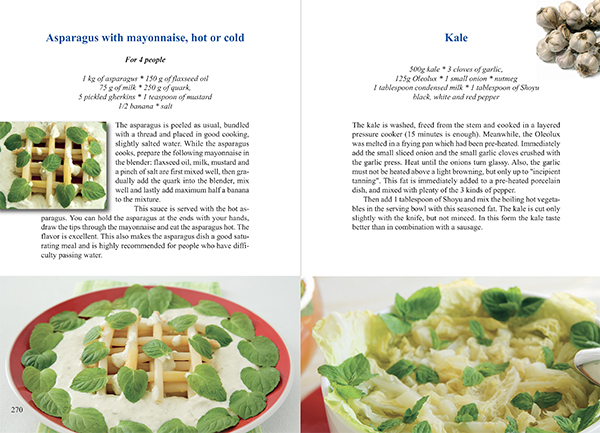 Since her death, around the world numerous experts came forward, writing books about the Oil-Protein Diet, publishing new recipes and inventing supposedly improved food variants of the Oil-Protein Diet. 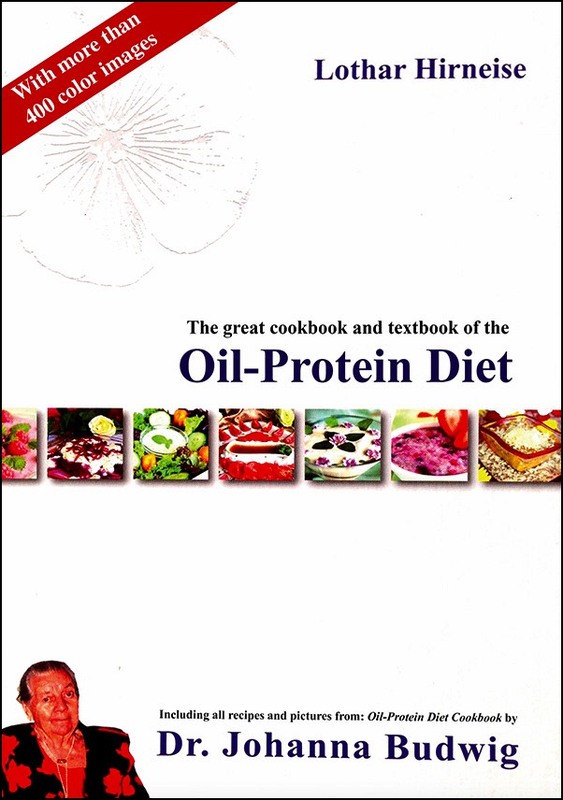 There are even some who dare to lecture and hold seminars about the Oil-Protein Diet. They hold views which are a far way off from what Dr. Budwig had written or said. Today there are so many "Oil-Protein Diet experts", which some might even think they are good in some cases, but in reality, are only harmful. All these people have never personally met Dr Budwig or have done so just for a few hours. Because they learned the Oil-Protein Diet just from reading 2-3 books they are making so many mistakes. 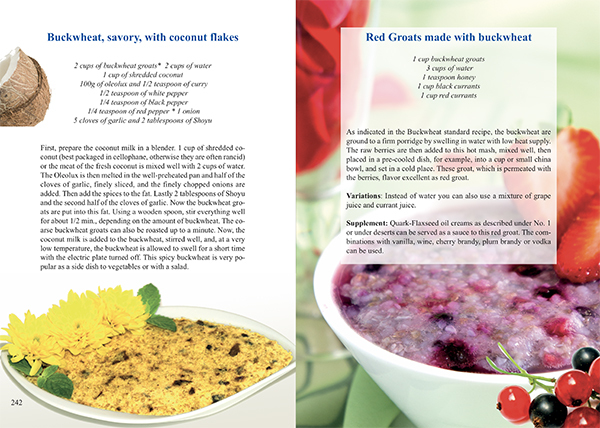 Have a look to following example: Dr Budwig wrote regarding the breakfast muesli: "First add flaxseed oil, milk and honey in the blender, then gradually add the quark in smaller portions." And this was exactly what she explained to her patients for more than 50 years. If you look now however in the English-speaking Internet, then there are very different instructions. 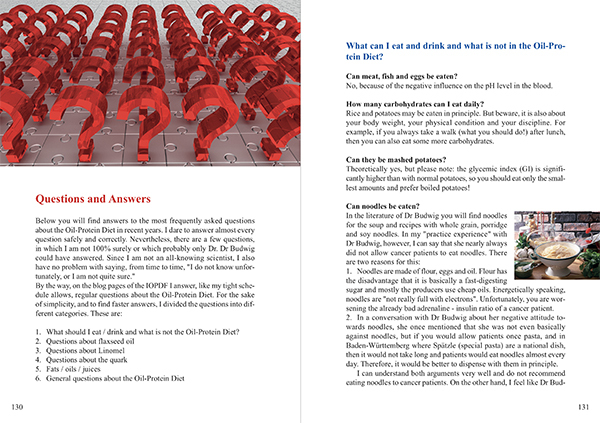 The reason for this is that all these experts have learned the Oil-Protein Diet not from Dr Budwig, but from a book. Unfortunately Dr. Budwig has written more than 100 books and articles and has often not taken the time to explain everything in detail again and again. These shortened statements have been partially translated and must serve as "original statements from Dr. Budwig". In addition, there is still the problem that many experts think they can change this or that "a bit", but do not understand at all what is important that the Oil-Protein Diet works. The same is valid for the Oil-Protein Diet. There are many "success stories" about different kinds of the Oil-Protein Diet in the Internet, but unfortunately they are no proof at all that it was "the (wrong) Oil-Protein Diet" that helped this people, maybe they even became healthy inspite they did a "wrong Oil-Protein Diet" - but other positive changes. The truth is, most people in the English-speaking world have never done the Budwig Protocoll, but mostly only a vegetarian diet with (freshly squeezed) juices and a flaxseed oil / cottage cheese breakfast. But that is not even 50% of the protocol, sometimes even less than 10%. The chance that this procedure was responsible for a cure is very low. 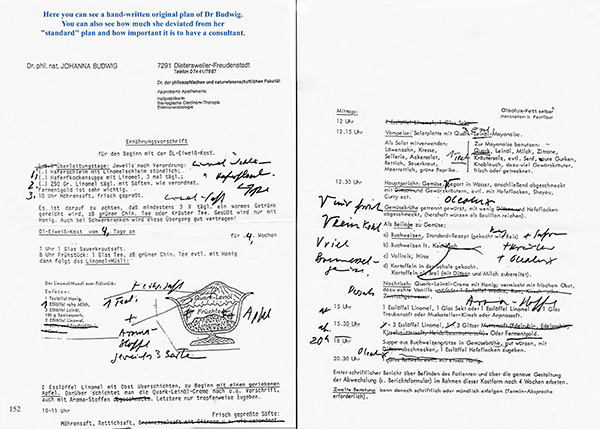 Dr. Budwig had only 2 students, Armin Grunewald and Lothar Hirneise. Mr. Grunewald is not promoting the Original Oil-Protein Diet but a very different one. 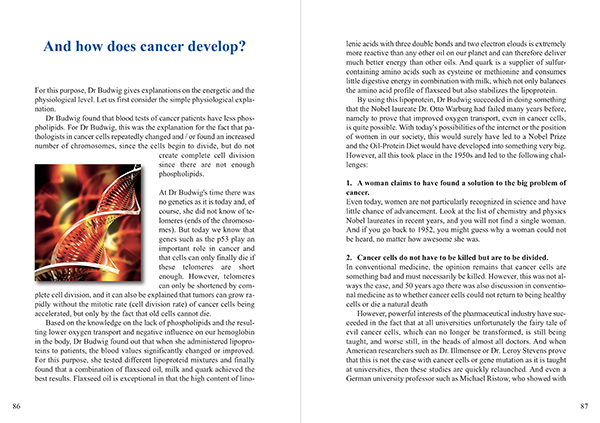 Literally, he writes in his book: "… any healing effect of Oil-Protein Diet on cancer has not been established. This is why at this particular issue I cannot agree to 100 percent." Almost all patients of Dr Budwig were cancer patients. This was what she was known for. For more than 50 years, cancer dictated her life. Mr. Grunewald also wrote: “Of course you can also eat meat three to four times per week if you like it. The main goal is the continuous supply of the body with Omega-3 fatty acids” or: “You may eat eggs” or "Please be careful with the consumption of fats like margarine." 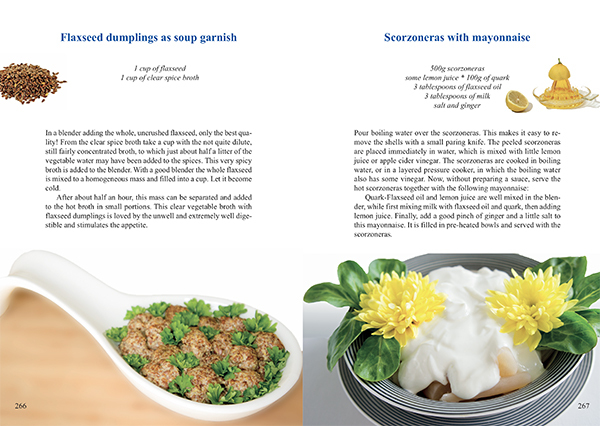 It is certainly no secret that Dr. Budwig didn’t have a single recipe with meat or eggs in her standard work on the Oil-Protein Diet and almost her entire life was devoted to fighting against margarine. So whoever wrote such sentences, has a completely different understanding of the Oil-Protein Diet than Dr Budwig. 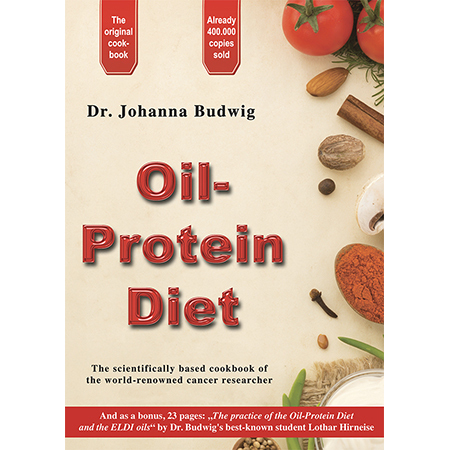 Many sick people put great hope in the Oil-Protein Diet mostly because they are cancer patients. So when someone claims to be an "Oil-Protein Diet expert", then ask him please, from whom he has learned about the Oil-Protein Diet. It makes no sense, to follow the instructions of persons, who do not nearly have the same success with cancer patients. It is by far better to rely on what has been proven to work. And that's just Dr Budwig’s Oil-Protein Diet and not the diet of other people. 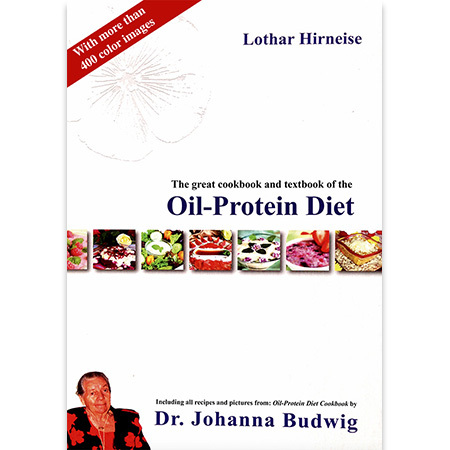 Lothar Hirneise teached and is still teaching the ORIGINAL Oil-Protein Diet from Dr. Johanna Budwig. 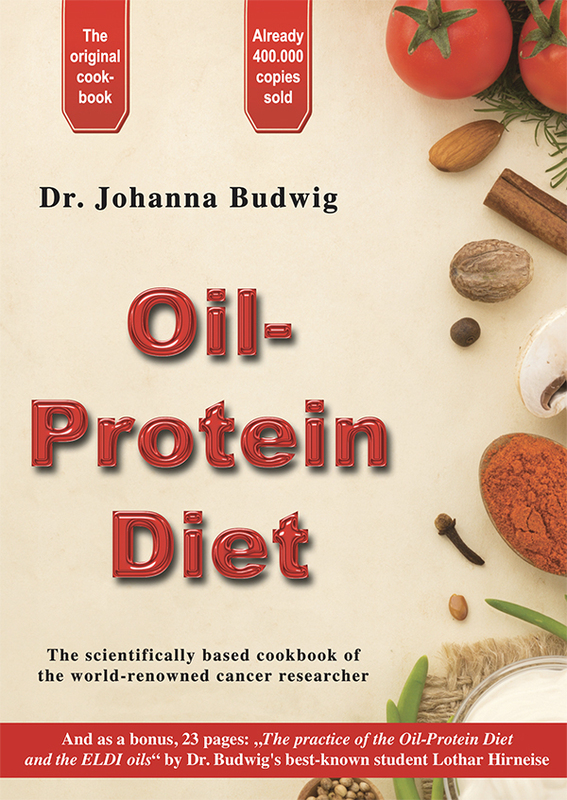 In his meanwhile famous Budwig Center in Germany (www.3e-centre.com) he proofed in many cases, how successful the ORIGINAL Oil-Protein Diet even can help very ill patients (see also: http://www.krebs21.de/3E-study.pdf). 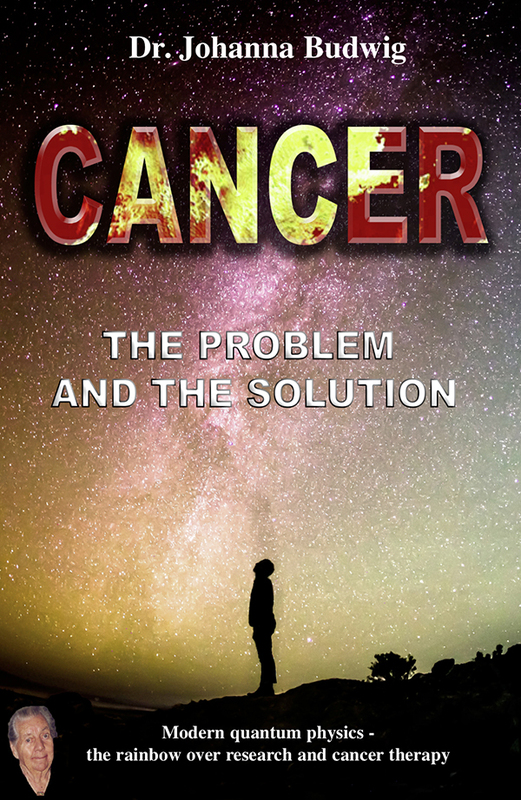 Lothar Hirneise is additional the chairman of the German Cancer21 Association and author of the well-known cancer encyclopedia (with 880 pages): Chemotherapy Heals Cancer and the Earth is Flat - an encyclopaedia of unconventional cancer treatments. He travelled the world for many years as a cancer researcher, searching for the most successful treatment for the disease. Through his work with Kausanetic and the foundation of the 3E Program, he has become internationally renowned as one of the few experts in the area of holistic cancer treatment. He spends most of his time travelling, working on research and development, and writing. 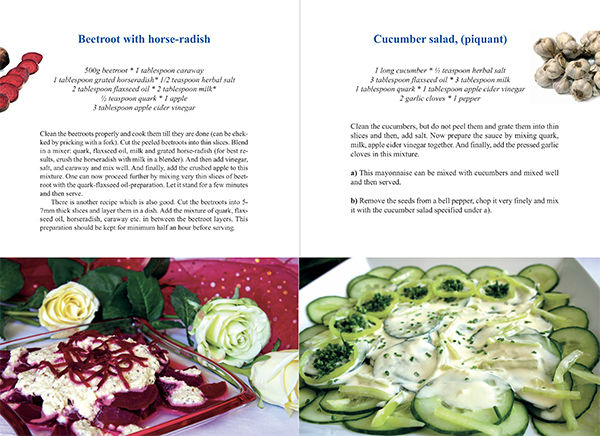 Now for the first time, his standard work: The great cookbook and textbook of the Oil-Protein Diet is available in English language. 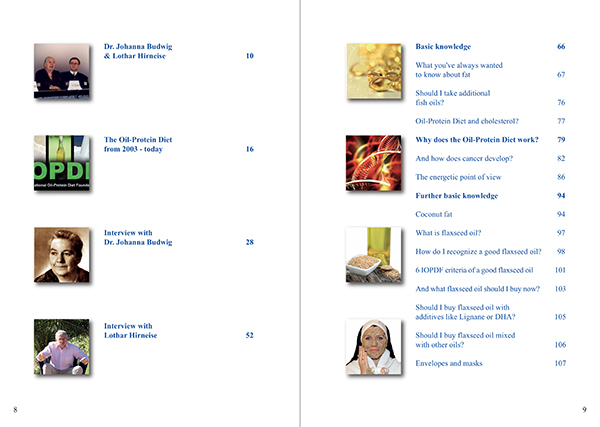 It explains in more than 340 pages the theory of the Oil-Protein Diet, answers every question you've ever had about Oil-Protein Diet and INCLUDES the Original Oil-Protein Diet Cookbook by Dr. Johanna Budwig in full color. 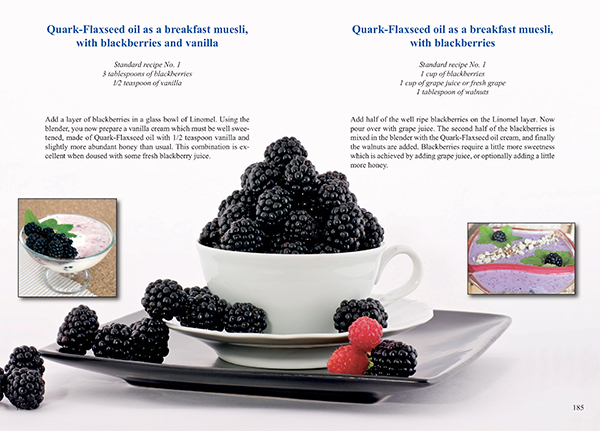 The ebook has more than 400 color images and is created that the beautiful pictures will inspire you to start today with the Oil-Protein Diet. 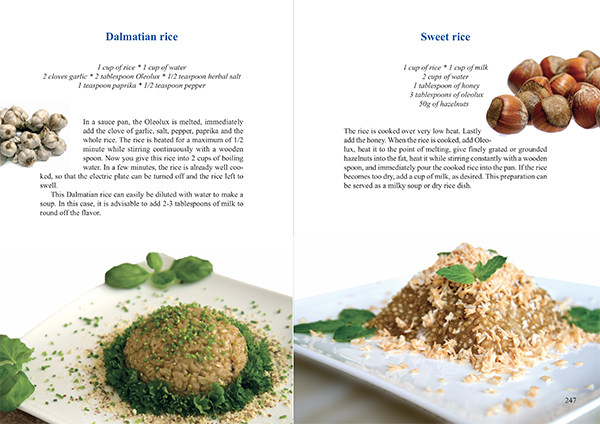 You want to learn the ORIGINAL Oil-Protein Diet? This is your chance. Do not waste your time, energy and health. 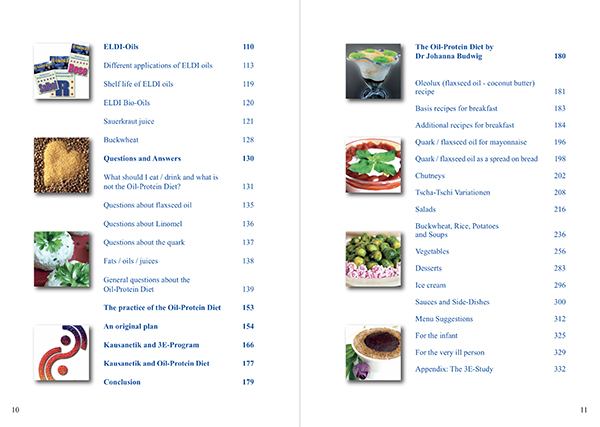 Get to know the Oil-Protein Diet from the (only) man who has learned it directly from Dr Johanna Budwig! SAVE MONEY: Get a one year IOPDF member-ship for only € 10,- with each of the ebooks! 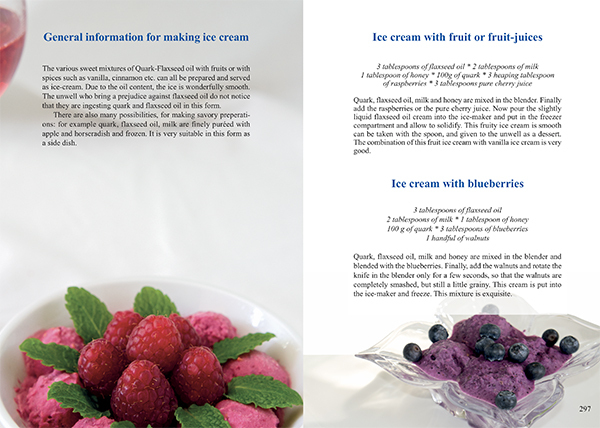 This extraordinary ebook with more than 210 pages, which has now been sold more than 400,000 times, is not only available for physical and mental high-performance athletes, but especially for people with cancer. For more than 40 years the scientist successfully treated seriously ill people. 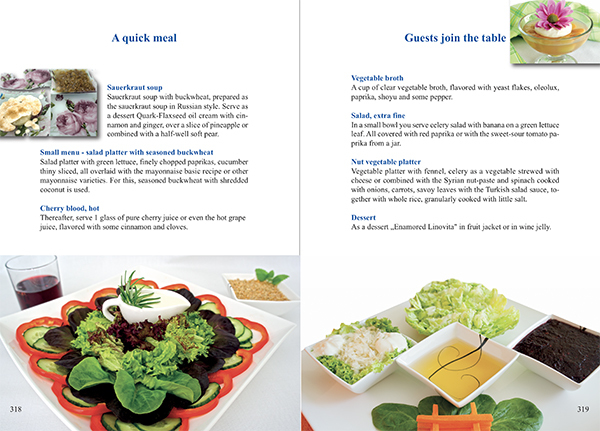 In this (cook) book, she explains in detail how to get healthy and healthy by natural diet. Get inspired by this brilliant researcher and get to know a diet that gives you the energy you need. 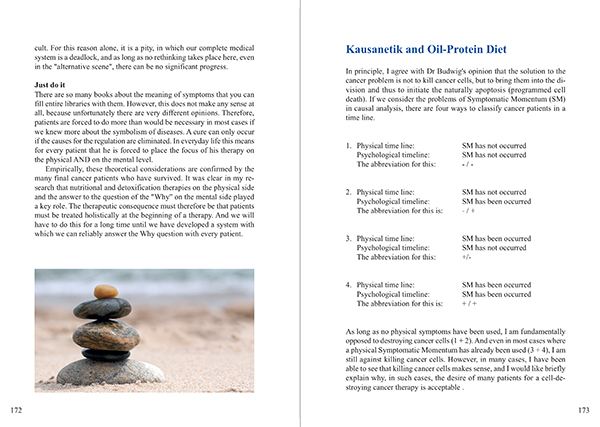 The oil-protein diet is not a theory like many other diets but a nutritional therapy based on the scientific foundations of quantum physics. 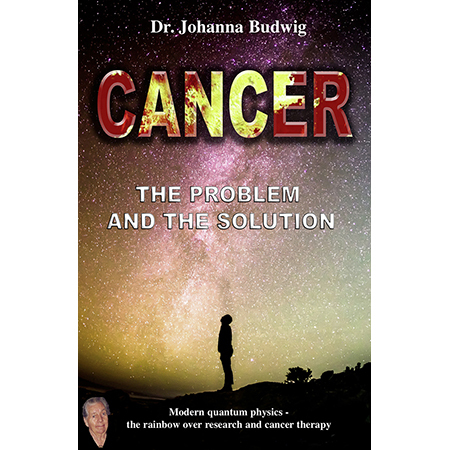 Dr. Johanna Budwig, who has been nominated several times for the Nobel Prize in Medicine, explains in this book why conventional physicians are coming to her when the diagnosis is cancer or when chemotherapy and radiation have failed. Over 50% of their patients were doctors and their relatives. Her patients traveled to Germany from all over the world to get advice from the extraordinary physicist, chemist and pharmacologist when it comes to cancer. 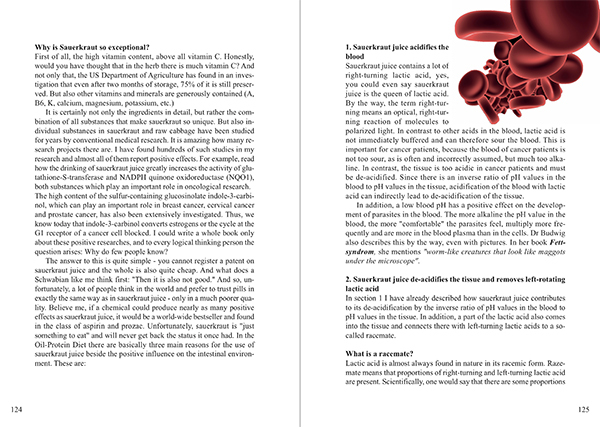 This book also explains why light food, electron clouds, enzymes and, above all, unsaturated fatty acids determine whether or not people are dying of cancer. 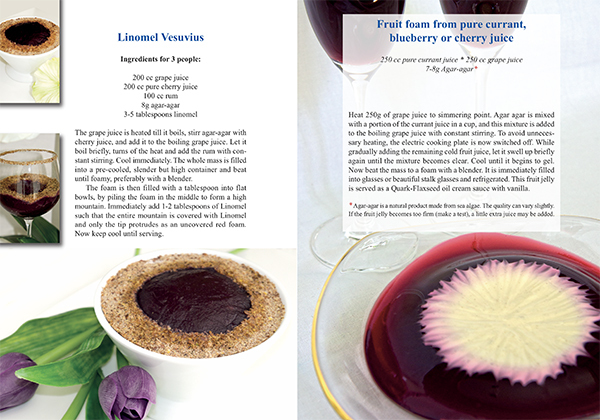 If you still need proof that there are nutritional therapies - here it is! SAVE MONEY! Get a one year IOPDF member-ship for only € 10,- with each of the ebooks!